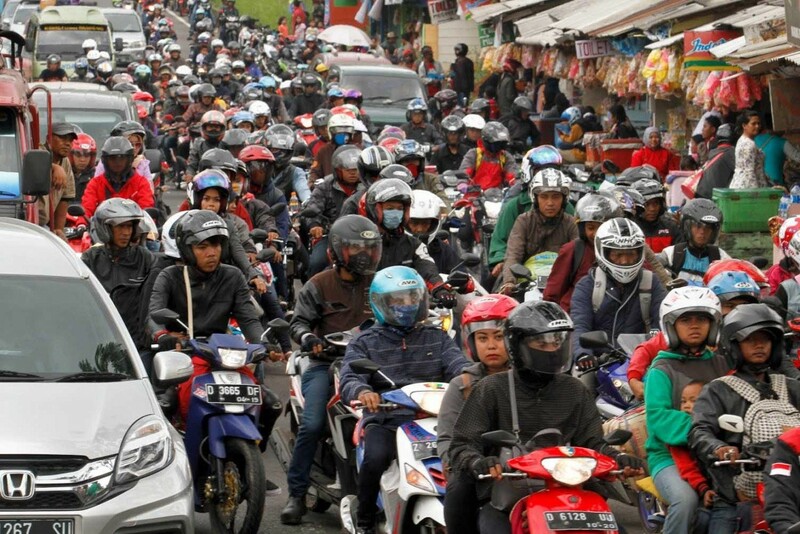 Indonesia saw the largest number of motorcycle sales in the ASEAN region in 2018. The total was nearly half of the total of the entire region. The country’s large population and income level contributed to the number. We know for many years that Indonesia is the largest market for motorcycles in the ASEAN region, but it was a toss-up between them and Vietnam. However, new data by the ASEAN Automotive Federation (AAF) and Federation of Asian Motorcycle Industries (FAMI) confirmed that the largest number of motorcycles sold in 2018 was in Indonesia. In that year alone, motorcycle manufacturers and distributors in the Republic of 260 million souls moved a total of 6,383,111 units. That number represents a whopping 47% of all motorcycle sales in the ASEAN region. In terms of ratio, 1 out of 40.7 persons bought a motorcycle. The second largest market in 2018 was Vietnam, with 3,386,097 units moved. The population of the country is 94 million. Converting that to a ratio, 1 out of 27.7 persons purchased a bike. So, although Indonesia contributed the larger total, more Vietnamese bought motorcycles. It could also means that there’s still much space for motorcycle sales, if we know the current motorcycle population in each country. Anyhow, in third was Thailand with 1,788,323 bikes sold. The Kingdom’s motorcycle market looks to be reaching a saturation point. The Philippines followed closely with 1,582,901 units. Malaysia contributed a distant but not entirely small 494,254. Last was Singapore with 10,377 bikes. Previous article2019 Triumph Street Twin, Street Scrambler, Speed Twin, Scrambler 1200 XC and Scrambler 1200 XE Have Arrived!